Increased Revenue - Construction Representatives Group, Inc. Achieve Increased Revenue for Your Construction Business! These days, business owners are focusing on implementing tools, strategies and methods in order to enhance business related sales. There are many so called proven methods but hiring a sales consultant to handle your construction business sales can deliver long term results without the added staff. If you operate a construction business in New England and have yet to achieve that desired sales target, then you have come to the right place. The success of your business greatly depends on increased revenue. Increased revenue means your sales ratio is high and that means your construction business is growing and expanding marketplaces. Competition in construction-trade contracting is significant and in order to increase revenue you need to be in the front of the construction marketplace. The time has come for you to choose the help from our construction sales consultants who know exactly how to increase the revenue for your business. Isn’t it time for you to put your sights on running your business while CRG helps manage your construction opportunities? Our sales team is comprised of sales professionals with 20+ years of experience in the construction industry. Hiring sales consultants is important when you’re looking to grow your business. Our sales professionals can help your business to achieve the desired sales ratio. There are many benefits of hiring CRG. If in-house sales efforts are not working and you are looking for the right assistance, then you are on the right page. If you’re looking to target a specific market and looking for bigger sales, CRG can really deliver the best outcome for you. We implement only result-oriented and proven sales strategies that can increase the revenue for your business in a hassle free manner. Appointing our experienced sales professionals for this task can take away these burdens. You will be able focus your time on your core competencies. 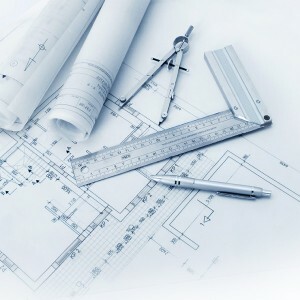 At CRG we have more than 20 years of experience in business development, marketing and construction sales. In order to increase the sales performance and revenue of your construction business, isn’t it time you think about hiring a sales consultant now!